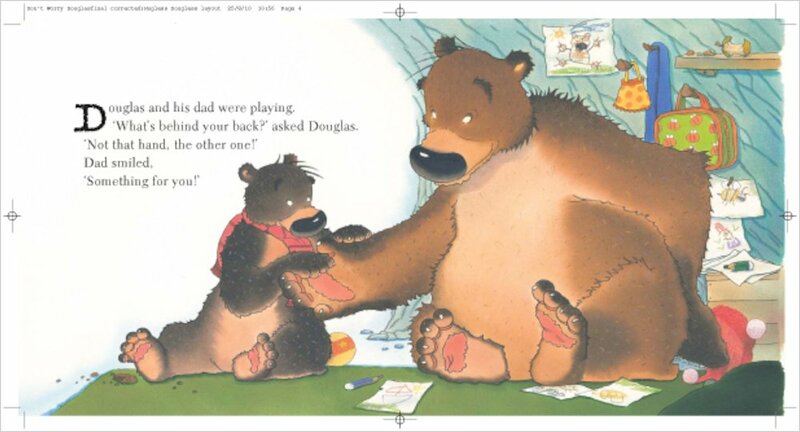 We adore Douglas the baffled brown bear. He’s gorgeously puzzled. And now he has a problem to solve. 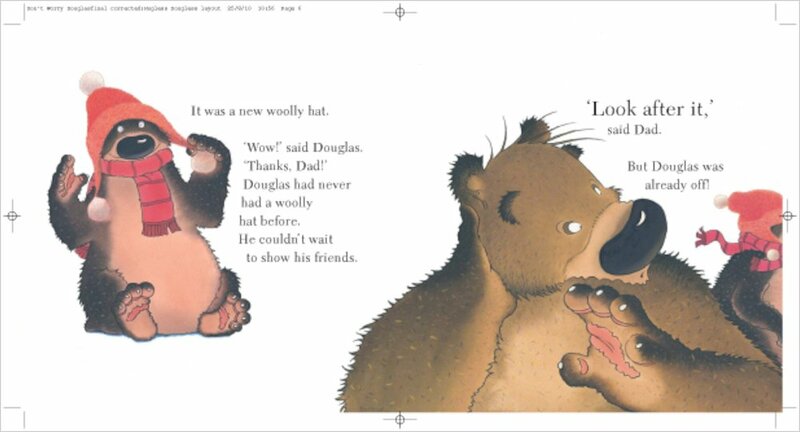 His dad has given him a brand new, snuggly woolly hat. Douglas is so excited that he races outside to show it off. 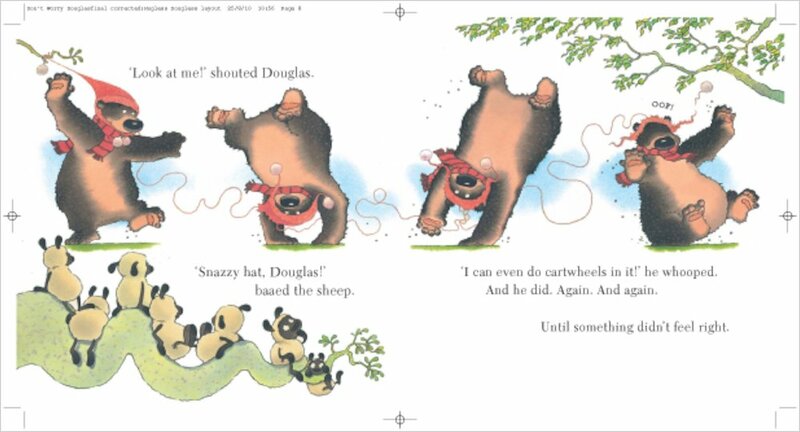 But then the hat unravels. Can Douglas fix it? A reassuring treat for all you little ‘uns. Oh-so cuddly and cosy: one to melt your heart. AD400L Lexiles are the global standard in reading assessment. They are unique as they are able to measure a child and a book on the same scale – ensuring the right book gets to the right child at the right time. 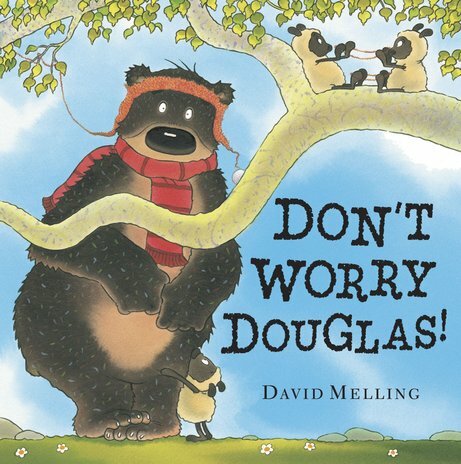 David Melling is a best-selling picture book author and illustrator, best known for his hit Hugless Douglas books. 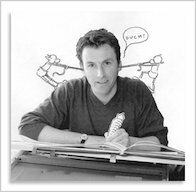 Before creating picture books, David worked as a photographer and as an animation artist for films including the much-loved Father Christmas by Raymond Briggs. He was born in Oxford and still lives near the city with his wife and two children. One of his most popular picture books The Tale of Jack Frost became an award-winning BBC1 animation, shown on Christmas Day. He has been shortlisted for lots of awards, including the prestigious Kate Greenaway Medal for his first book The Kiss That Missed. cute! brilliant! love this book!